Vedic Astrology, also known as Jyotish or Hindu Astrology, is the traditional astrology of India and stems from its spiritual and yogic culture going back thousands of years. It integrates karma and spiritual destiny with the unfolding of the current life of the individual. As such it goes far beyond the information generally provided by Western astrology. The field of Vedic Astrology has recently become much more accessible in the West as more noted scholars and students of the ancient sciences begin to write on the subject. While there are similarities to Western astrology, there are also substantial differences. Vedic astrology, perhaps because of its spiritual background, delves deeply into the movements of life within the larger context of destiny, karma and vast movements of time and evolution through time. It is impossible to give a meaningful description of Vedic Astrology in a short overview, so we shall try to provide guidance on books that illuminate the field so that you can find resources that can introduce you to the subject in a realistic way. Vedic Astrology, also called Jyotish, is the traditional astrology of India and its profound spiritual culture. It possesses a precise predictive value as well as a deep interpretation of the movement of life, unfolding the secrets of karma and destiny. 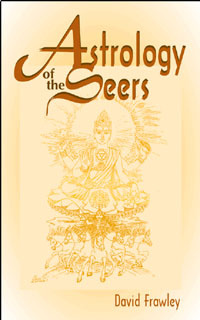 Astrology of the Seers, first published in 1990, is regarded as one of the classic modern books on Vedic astrology, covering all the main aspects of its philosophy, background and practice, including chart interpretation and methods of balancing planetary influences such as mantra and gem therapy. The present edition has been thoroughly revised and updated. 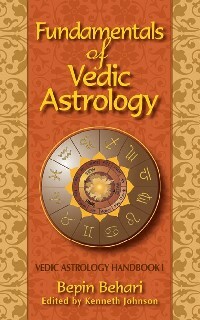 This book introduces the concepts and operations of Vedic Astrology. It presents the component's of the astrologer's art-the planets, signs, houses and lunar mansions. The author goes into the rules that determine planetary strength, the construction of the divisional charts and the principal combinations, and much more. 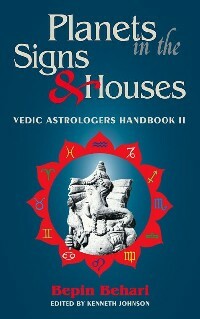 The book presents the components of the astrological art -- the planets, the signs, the houses and the lunar mansions. They are presented within the context of a continuing process of self-discovery and spiritual development. The book goes into the rules which govern the determination of planetary strength, the construction of the divisional charts (vargas) and the principle yogas or combinations. This book follows up on the foundation provided in Fundamentals of Vedic Astrology and delves into questions such as impulses likely to be generated by the planets in different signs and houses of the natal chart. The author makes this subject eminently readable and cuts through the obscurity of the centuries to present a clear and effective science with a deep psychological background and underpinning. Every planet precipitates its special influence depending on the sign in which it is placed and the house it occupies. This is virtually the only accessible volume in this field which offers a thorough treatment of this important subject. Vedic Astrology has a wealth of myths and symbols, some in common with Western Astrology. Many of the secrets of life and consciousness can be discovered through them. Students of mythology will also find it helpful in unlocking the astrological keys to the great archetypes of the psyche. 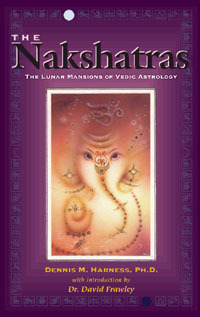 This book also explores the Nakshatras, the 27 lunar mansions, a unique aspect of the Vedic system of astrology. Those who are studying Vedic or Hindu astrology will find this book to be invaluable in opening the door to the inner meaning of the planets and how they are viewed in the Vedic system. Many of the secrets of life and consciousness can be uncovered through the numerous myths and symbols that permeate the system. Mythology is the basis of astrology and astrology is the basis of mythology. Most myths relate to the cycles of time and light, as revealed by the stars and planets. They show our deeper connection to the cosmos and to the cosmic forces by which our soul or psyche is patterned. 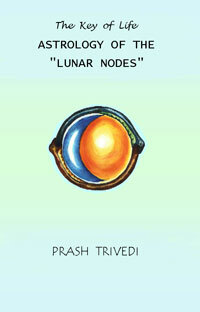 by Dennis M. Harness, Ph.D.
Astrology of the "Lunar Nodes"
Prash Trivedi is the first astrologer to put together an exhaustive, historical, numerological as well as esoteric account of the Lunar Nodes, including their relevance in the present day and age. Dr. David Frawley, the well known Vedic scholar, writes of Mr. Trivedi - "India's most insightful young astrologer offers what is probably the longest, most researched and most original book on the Lunar Nodes published in modern times. This book is worthy of serious examination by all students of Astrology and all those interested in the great mysteries of life, death, karma and transformation." 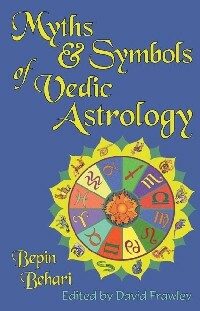 The book includes astrological charts for famous historical figures for example and reference. Jyotish, or Indian astrology is introduced to the Western reader by two expert and long-term practitioners of the science. This is a complete and thorough handbook that can be appreciated and understood even if you start out with very little background in the science of astrology. Jyotish states that by considering the state of the cosmos when an event occurs, we can begin to understand its nature and prepare an appropriate response. These 27 cosmic transmitters were known to most ancients across the globe as the celestial quarters of the gods. Their knowledge, however, has been most well preserved in the Vedic heritage of India, where they are known as Nakshatras. In addition to containing a 23 pronged dissection of these celestial portals, this work contains 27 color picture images that capture the functionings of these constellations in a way that words cannot. It is our hope that you will enjoy this cosmic journey as much as we have enjoyed making it available to you.